Across the globe, the simple pallet is one of the most important elements of the shipping and distribution industries. There are literally billions of them in transit around the world every day, enabling businesses to quickly and effectively move goods from one location to another. Which countries currently use the most of these plastic and wooden packaging containers and what does the future hold for the sector? The global pallet market is worth an estimated $9 billion a year and it’s estimated that 80% of all goods in the US are transported on them. There are around 3.9 billion units sold every year, helping move everything, from food and drink to pharmaceuticals and consumables. In the past, the main consumers have been the developed world, predominately the US and Western Europe. However, as the developing world starts to catch up with more advanced nations, this ratio is likely to change. 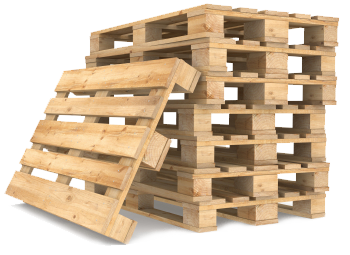 Currently, North America is the single biggest user of the pallet, with 1.2 billion pallets for sale annually. In 2007, this was followed by Western Europe. However, the decrease in the global economy, especially within developed nations, affected both of these regions substantially. Pallet sales fell by almost 2% between 2007 and 2012 in Western Europe, enabling the Asia / Pacific countries to take second spot. According to the World Pallets report for The Freedonia Group Inc., the world will see an annual increase of 5% in the number of units sold up to 2017. This will total five billion and mean that there will be around 9.9 billion of them in use globally, which is a rise of 4.6% a year. This increase in demand will be due to a sustained level of growth in the global economy, so more packaging containers will be required to meet shipping demands. There will also be a far heavier usage of them in less developed nations. Industrialised countries, such as those in the Asia / Pacific region, will begin to see the benefits of effective packaging. They currently have a low usage of packaging containers when compared with the state of their manufacturing and construction industries. In the future, they will see how a pallet can help them to offer a more competitive edge, making them more efficient and reducing damage to goods. The region will see the biggest level of growth through to 2017, with an increase of 8.1% a year in pallet sales: 1.6 billion units. This will enable the region to pass North America as the biggest sector within the next three years, accounting for one third of global demand. In comparison, the North American market will grow by just 3.6% a year to 1.5 billion. China will record the biggest increase for a single country and will be responsible for one fifth of the world’s total pallet sales. Pallet sales are heavily influenced by the global economy and the concentration of manufacturing industries in specific countries. With Asian nations embracing the benefits of the humble pallet, it is likely that the region will see further growth in the future.